Mercury Marine understand why you love being on the water. They engineer, build, and provide the some of the best marine power in the world. Powering boats is what they do – it’s all they do. And because boating is what you do Mercury Marine strive to make your experience better in every way they can. One of the most popular sterndrives on the planet, thanks to outstanding reliability and serviceability. To download our service document for this engine click here to open in a new window or right click and choose save as. Versatile platform that’s a great fit for everything from runabouts to pontoons to houseboats. 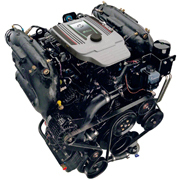 Dependable and versatile, MerCruiser small block engines are ideal for runabouts and cruisers, delivering rock-solid performance and allowing you to enjoy the activities you want to, when you want to. 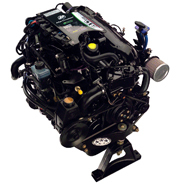 MerCruiser 8.2L V8 big block engines deliver industry-leading reliability, performance and ease of ownership.